RUSH: Let’s go to the election in Montana, because this last night, I didn’t see this on TV. I’m following the results, and I’m checking various things. And I see that Nate Silver sent a tweet out that said that if Gianforte, if the Republicans don’t win Montana by at least eight points, then it’s good news for the Democrats. So the Democrats losing by four points, five points, six points, seven points, great, great news; the Democrats need to celebrate it. It’s great news. The Democrats have yet to win a special election this year. They thought that they were gonna win every one of them, and they thought that every potential Democrat victory would signal the country had turned against Donald Trump. Then when the elections happened — and we went through the formula yesterday — I explained how this all works every election, and then when the election’s over and the Democrats lose, they follow up by saying it’s actually good news because the Republicans didn’t win as big as they should have. But, meanwhile, the Democrats keep losing elections. Now they’re saying that about this election. They’re saying, “Well, this really wasn’t that important. For crying out loud, it’s Montana,” some people in the media are saying. They’re saying, “What really matters now is Georgia,” which happens to be the next one on June 20th. I encountered this story, ladies and gentlemen, shortly after reading Nate Silver saying that if the Republicans didn’t win by eight or more, it’s actually good news for the Democrats. RUSH: So we move from the story about weak men, physically weak men more likely to be socialists to now the aftermath of the election in Montana yesterday where the manly and studly Greg Gianforte trounced the herpes country singer there, a guy named Quist. What are you putting your face in your hands for? I’m not making anything up. The guy performs at nudist colonies out there. So from CNN: “What Greg Gianforte’s Win in Montana Taught Washington.” Suddenly after the Democrats lose big, guess what? All politics is local. It’s classic. I went through the formula yesterday. They have yet to win one of these special elections. The Democrats have not won one of them all year. Before each one, they set it up as a referendum on Trump. The nation is ready to turn. The nation is dissatisfied. The nation’s feeling guilty and a great sense of remorse over having voted for such a bumbling fool and pig and idiot, Donald Trump. And these people cannot wait to express their sorrow and their regret. They cannot wait. These voters in these special elections cannot wait to apologize to America for what they’ve done. And the way they will do that is vote Democrat. Then the election happens. Hollywood and Silicon Valley throw in gazillions of dollars to these Democrat candidates in the special elections, then they have the election, and it’s not even close. The Democrat loses. In the immediate aftermath of that, the media says, “Well, it really wasn’t that important. There’s not that much to see here. These elections are really more local than they are of any national impact.” They do it every time, every damn one. Now they’re looking at the Georgia runoff on June 20th, and it will be the same formula. (Unintelligible) they lose big, all politics is local, has nothing to do with national issues, according to CNN. All you need is one pull quote from the story. “At the end of the day it might be the case that trying to fit Montana into a national political box is a stretch.” Now, contrast that with everything CNN has been doing about this election. They tried to link Gianforte, as did the rest of the media, to Trump. They tried to link this guy to Trump in every which way: a bully, a pig, he’s unfit, he’s unsavory, all of these things. They portrayed this election as it’s a big, big red state, went big for Trump, but the voters there are so embarrassed. They can’t wait to show how sorry they are for having elected Trump or voted for Trump. They spent all day telling everybody how meaningful the election is, and then when they lose, well, you know, at the end of the day it might be the case trying to fit Montana into a national political box is a stretch. From the Associated Press. Laughable. “Was Montana’s Wild House Race a Trump Test? Not So Much.” This is hilarious. Everybody, including the AP, claimed that it was a referendum on Trump, as they always do in these elections. That is, until the Republican wins. As we pointed out yesterday, in typical fashion. The polls lied, by the way. The polls had Gianforte up by just a couple, and in some polls they had the Democrat up, remember? The Democrat was way up, and then Gianforte came along and body slammed a pencil neck geek reporter. And there was mass outrage all over the media. And the media assumed — I should say presumed — the media presumed that that was the end of Gianforte, that the voters, they simply would not tolerate a reporter being treated that way. No way, Jose. It wasn’t gonna happen. The voters are not gonna tolerate it and they’re gonna show Gianforte what they think. And this guy Quist was gonna come along and run away with it. Of course it didn’t happen. And then all day yesterday we get calls from Montana from people who said they had no problem with it, that if they could, they would go bankrupt donating to Gianforte. We didn’t have one caller yesterday who was upset. And then we have the early voting aspect of this. Now, let me ask you a question. In this election, 70% of the people that voted did so before yesterday. That means that 70% of the people who voted, voted before the studly and manly Gianforte treated the reporter like a dishrag. And so the media is lamenting that. The media is trying to salve themselves by saying, had this election been totally on election day, there’s no question that Gianforte would have been sent packing. And they’re doing stories about how so many people were asking if they could change their vote. This is so bad. What they didn’t probably understand is that many of the people wanting to change their vote had voted for the Democrat and wanted to now vote for Gianforte after the event yesterday, but the media will not consider that. Let me ask you this. Will they change their attitudes on early voting now? The media and the Democrats believe that had there not been early voting, the Democrats would have won this race. So will they rethink their position on early voting and say, “You know what? We need to eliminate early voting.” I’ll tell you why they ought to seriously think about it. The Democrats, do they not routinely strategize with things like October Surprises? They routinely plant bombshells out there, like the Trump NBC tape. And they plan these things to happen within the last, say, week or two weeks before the election, sometimes at the outside, three weeks. But if people have already voted by then, then the October Surprise is going to have much, much less impact. And if the October Surprise is a massively important part of your campaign, what’s the point of doing it if a majority of people have already voted and will not be affected by it? So the alternative is to get rid of early voting if you’re gonna really pin your hopes on October type surprises or you execute the October Surprise earlier, before the early voting begins. What do you think they’ll do? I had a couple people last night tell me that they thought the Democrats would now get rid of early voting since it shafted them here. And I said, “You are crazy. They are never going to abandon early voting. No way. It isn’t gonna happen. If anything, they’re gonna expand it.” This election notwithstanding. They said, “Why?” What do you think early voting is for? Early voting is the greatest opportunity for fraud, phony registrations, massive registrations, massive bus trips to the place that you early vote. It’s a godsend. It’s a golden opportunity to cheat! And it allows you, as the mastermind of early voting, to generate the kind of votes that you want. Who wants to wait ’til Election Day and take a chance? I mean, the left in this country doesn’t trust voters already. They don’t trust democracy. The left gets screwed too much by democracy. Democracy meaning people having freedom. So they don’t want that. They want to limit freedom. They want to limit people’s choices or they want to rig all of that to the greatest degree they can. And early voting, in their minds, affords them the greatest opportunity. And I don’t think they’re ever gonna back off of that or walk it back despite this election in Montana. ‘Cause what they’re telling themselves is, “Well, this really doesn’t matter. You know it’s just one seat, and where’s Montana anyway? We’ve never been hurt by whoever represents Montana. We’ve never even known who represents Montana. Screw Montana.” That’s what they’re saying. “Why should we change everything we’re doing because of Montana? Montana, who even goes there besides Ted Turner. Why should we care?” That’s what we’re gonna come back to. Oh, yeah, Ted Turner has a bunch of buffalo ranches up there. Ted Turner owns half of Montana. I don’t know if it’s that much, but quite a bit. Now, all last night since I don’t watch TV, since I wasn’t watching TV, I had no idea if anybody in the Drive-Bys or the Democrat Party was angry with me for the way we were conducting things yesterday regarding the event in the Montana election. I had no idea. Because I didn’t watch TV and in all of the show prep, I didn’t find one reference. So I thought, you know, the Drive-Bys, they have totally forgot, they’re so focused on destroying Trump, they’re so focused on assassinating Trump that the things they used to focus on are second- and third-rate importance now. How wrong I was. Mr. Snerdley brought me a Stack of things — (laughing) — and they’re deliciously hilarious. Totally unacceptable. So it was reverberating throughout certain places in the online media. RUSH: Oh, I forgot the New York Times. Mr. Snerdley pointed it out. “A Journalist Was Body Slammed, but Some Conservatives Want the News Media to Apologize.” And I, of course, your host am prominently referenced on two separate occasions in this story. Then there’s another headline here from Vox: “Republicans Win in Last Night’s Montana Election is Great News for Democrats.” We have more of that coming up. You see how this works? Republicans win in last night’s Montana election is great news for Democrats. Winning narrowly in a safe red state is a bad sign. 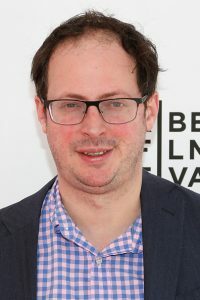 So Nate Silver says that if the Republicans don’t win by at least eight points, it’s great news for the Democrats, and here comes Vox saying he only won by seven, which means that Nate Silver is right. Memorial Day celebration is Monday. We’ll have a best-of show that day, so we have an extended weekend here. Open Line Friday means whatever you want to say, whatever you want to talk to me about is fair game. I want to go to the audio sound bites. I meant to get some of these in the last hour just to wrap this up on this Montana election, ’cause once again it is a teachable moment in helping people to understand how to translate what they see that is programmed ostensibly as news. But again I would submit to you that we really are not watching news anymore, in the traditional sense, strict definition of news, it’s not what we’re seeing. TARLOV: Now they’re predicting a single-digit win for him as opposed to a double-digit win which would be a good night for Democrats. That’s something they would certainly go out and fundraise about. They talked about the resistance, how it’s working, how it’s beating down Republican strength. That would be the silver lining. RUSH: Wouldn’t you love to be in that party where when you lose you win? When you lose, you get to increase your fundraising. When you lose you get to say whatever you’re doing is working, like the resistance. When you lose, and like for the third or fourth time in a row, it adds to you. Wouldn’t you love to be leader of party with that many dumb people in it? That every time you lose you hit ’em up for money. Folks, the dirty little secret is they’re not donating. Jessica Tarlov can sit there and talk about all the fundraising she wants. Remember the story we had earlier in the week. Republican National Committee fundraising is like four times ahead of the Democrats today, and cash on hand is like three times as much on the Republican side. The Democrats just aren’t succeeding in fundraising. There’s nothing on the electoral side in the Democrat Party that’s working right now, which is okay for them because they’re not running things; the media is. The media doesn’t have to fundraise. The media doesn’t stand for election. The media is never going to lose in any kind of contest because they officially don’t enter any. But the elected branch of the leftist movement in this country, which is the Democrat Party, they are actually in a world of hurt. And it’s an important distinction to draw. To lose here by seven points and to call it a win and to try to fundraise off this and to suggest it’s a good night for the Democrats, we can fundraise here, and the resistance is working, it’s beating down Republican strength? It isn’t. The Democrats better thank their lucky stars that the Republicans simply don’t want to lead. Whatever it is. Mitch McConnell the other day, “I just don’t know, I just don’t see, I just can’t find a way to get 50 votes for this health care bill. I just don’t see, I can’t find a way, I don’t see the road to get tax reform done this year. I just don’t know. I can’t find where we’re gonna get the votes. I just don’t see the road to get serious about the wall on the border to limit illegal immigration.” If the Republican Party could set aside its embarrassment or whatever it is it’s feeling, if they could unify behind the Trump agenda, they could bury all of this. The best way to knock out this political assassination attempt that’s being conducted by the media is to win. And the Republicans have what it needs to win. They’ve got the votes, if they could unify behind things, unify behind the Obama repeal and replace. The CBO score. We haven’t gotten into this yet. The CBO score of the Republican health care bill is an outright disaster, and it’s a fraud. What is the big takeaway in the media about the CBO report? The CBO says that the Republican health care bill will result in 23 million Americans losing health insurance. My friends, it’s an outright lie. The 23 million people the CBO says will lose health insurance do not have it now. That’s one of the great myths of Obamacare, that all of these millions of people were magically insured. They weren’t. Obamacare is a debacle. Obamacare is an outright failure, if you believe that Obamacare was intended to do as it presented. I mean, the truth of the matter is Obamacare’s right on schedule to imploding and leading everybody down the pathway to single payer. But they weren’t honest about that. They made everybody believe that Obamacare was gonna answer everybody’s health care problems: lower premiums, lower deductibles, insure everybody. And they’re trying to tell people that this is happening, even while insurance companies cancel and back out, get out of the exchanges. It is imploding as designed. The CBO comes along and says the Republican replacement bill will strip health insurance of 23 million people. It will not. They don’t have it yet, they don’t have it now, they don’t have it to lose. Our old buddy Guy Benson has dissected this at Townhall. We’ll link to it at RushLimbaugh.com. I mean, this CBO, they say it’s nonpartisan, the Congressional Budget Office, but I don’t believe that, either. They may, you know, on the surface try or attempt to make it look nonpartisan, but it’s the establishment. There isn’t any such thing as nonpartisan in that town. And it’s an insult to our intelligence to try to tell us there is. The CBO is biased against the Republican replacement plan of Obamacare. It’s biased against it. But, you know what? The one thing they couldn’t make up because it’s true, it will lower the deficit and it will lower premiums by $3,000. Remember, Obama said he was gonna lower your premiums an average of $2,500, and they went up and up and up along with the deductibles. CBO says the Republican bill will actually lower premiums. It gets in the weeds after that, but the big take-away — and you can count on this. This is the thing about the modern-day media. You can count on the big take-away being a lie. Your safest bet when you’re watching the media report something is that they’re not telling you the truth. That’s the safest bet. The safest bet is to critically think and doubt what you’re hearing. So when they tell you that 23 million Americans are gonna lose health insurance, if that’s the big take-away from the Drive-By on this as it was, doubt it, do not believe it. Let that become instinctive, because it isn’t true. Here’s Ron Brownstein. Ron Brownstein, formally of the LA Times, now with The Atlantic. He’s a senior editor. He was on CNN’s Special Coverage last night, and he was asked, “You know, Ron, it’s a close margin outline out there. Is there something there for everybody in Montana? Could the Democrats claim victory? Can the Republicans claim victory?” The Republicans won, you doofus. Yeah, but can they claim victory, and, Ron, is there any way the Democrats can? BROWNSTEIN: What this says to me, the fact that even amid the disapproval of the health care bill and the controversy over the body slamming, the incredible events of the past 24 hours, the fact that he was able to win a fairly solid victory says to me that the Republican hold on culturally conservative nonurban America is very, very strong. And if Democrats are going to win back the House in 2018, they’re gonna have to maximize our opportunities in urban and suburban districts. The Georgia election in June is actually a better, I think, reflection of the kind of places they have a chance to win and they’re going to have to win, because what this says to me is that particularly in the Trump era, this part of his coalition is still there. The weakest link are those white-collar, white suburbanites where he’s underperforming. RUSH: Okay. Translation: You know, we’re never gonna get these farmers and these hayseeds and these hicks that doesn’t live in cities. And we Democrats ought to stop trying. We should not have been lying to ourselves that we could have won in Montana. It wasn’t gonna happen. Even after the Republican beats up the reporter, we should have known we were gonna lose. We should have known those hayseeds would applaud that. We’re never gonna win real Americans like that in Montana. We need to go to the inner cities. We need to go to the suburbs. We need to focus on the people that we have made dependent on us and turn them out. We have got to stop focusing on Americans who work. We have got to stop focusing on Americans who believe in the original founding ideals of this country ’cause they’re out of pace. We’re never gonna convert them. Ron Brownstein is essentially advising the Democrats to focus on their base and turn it out and look at Georgia. Georgia is a classic example of what we need to be doing to win. So they’re back to that now. He may have a point, as unintended as he was here, suggesting that they never had a prayer in a place like Montana because, you know, I mean, this is very culturally conservative, nonurban America, very, very strong for the Republicans. And he thinks it’s a pipe dream for the Democrats to be telling themselves that they were gonna win this. The real pipe dream is the Democrats — forget the Democrats — the pipe dream the media is selling itself is that the American people are fed up with Trump. The media literally believe this. They believe that people that voted for Trump are embarrassed and are feeling guilty and want to correct the mistake, and this is what informs them. This is what motivates them before every one of these special elections, it’s what they tell themselves. They lie to themselves, and they tell themselves that their jobs have been so effective, they’ve been so effective since the election in zeroing in on Trump and destroying Trump, they believe they’ve been so effective that they have talked Trump supporters out of him. And they are feeling guilty. And they are willing to correct their mistake. And they can’t wait for each election to go vote Democrat to essentially ask for forgiveness. They believe, in the media, a version of that. Do not doubt me. The fact that they lead into every election with the identical coverage. “This is going to be where the country shows its dissatisfaction with Trump.” They believe it. And the reason they do is because they believe in their own power. They believe they are actually persuading and converting people every day with this never-ending assault on Trump and the Russians and his election. You know what they’re doing? They’re not persuading anybody. They’re turning people off. They are turning people away from what they do, slowly but surely, and the more liberal the media gets, the more outrageous, the more obviously not news it is, the more obvious it is that it is a concerted political effort to undermine and destroy, the more people are gonna walk away and not watch it anymore and not read it. Now, some people think that as this continues, that it’s gonna implode on itself, meaning that the media can’t keep this up. At some point, the mountain of lies, misrepresentations, false allegations, at some point the weight of all that is gonna crush the media, and their credibility is going to be forever destroyed because the day is going to come when everything they have been alleging is demonstrated to be not true and not even close to being true. And when that happens, they will have destroyed their credibility with more and more people and will thus implode. Maybe, but I have to tell you, I’ve been waiting for that to happen to the left for the last 30 years, and it has not happened. Well, I say it hasn’t happened. They’re losing elections; it has happened. It just doesn’t look like it because the opposition is not mounting an affirmative, aggressive effort to roll anything back, meaning the Republicans. But they are losing. But I think, even before we get to this so-called implosion where they collapse at the weight of their own illegitimacy, I think they’re just gonna keep turning people off. I think they’re gonna show up as more and more disrespected and polls where people ask their opinion of journalism and journalists, and I think their audiences might start to shrink. It’s a total bastardization of what media should be. RUSH: We got Daniel here from Helmville, Montana, on the phone. I’m glad you waited, and it’s great to have you here. Hi. CALLER: Rush, mega dittos. I’ve been trying for years to get a hold of you. You got me through a lot of years in the blue state of Illinois, so I’m tickled to death to talk to you. RUSH: I’m glad you got through here. Thank you. CALLER: We moved out here a couple years ago, live up here on a mountain off the grid, and it’s just a great area. But to get to the point, it’s just reeks of common sense people out in this area. And I think that the news coverage and the way they covered this Gianforte thing, I think it really helped Gianforte because people know that people may lose their temper once in a while if they’re goaded or pushed into it, but I really think that he’s a better candidate and people saw it and they just voted for Gianforte. RUSH: I think you’re right. That was my instinctive feeling yesterday that that was gonna be the result. You go back and look at the tape, I think I predicted that he was gonna win yesterday. I was never in the field of doubt about this I think the media was trying to place everybody in. Here’s the thing about what Gianforte did. The media is their own worst enemy. When this stuff happens, what do they do? They go in there when one of our own was attacked and treated like a dishrag, and they act like everybody is outraged by it. They act like it’s a great crime and that everybody wants this Gianforte guy buried, when the truth of the matter is, I would predict to you — I don’t know what percentage, but there’s a lot of people that watch modern-day journalism and get viscerally angry at reporters and their invasive questions, say, of people in grief or the way that Trump’s people or Trump are being treated. They get viscerally angry and there’s nothing they can do about it. So they see something like this, and there’s a part of them that cheers it on, because they believe that journalists have gone way beyond the bounds of fairness and that they’re actually trying to criminalize certain political beliefs, and they’re fed up with it. I don’t doubt that for a moment.